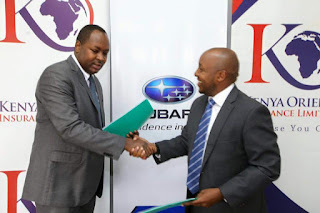 Kenya Orient Insurance company Tuesday went into a business partnership with Subaru Kenya,a motor vehicle assembly company to offer clients with affordable spare parts . During the partnership signing ,Kenya Orient Managing Director Muema Muindi and Subaru Kenya General Manager Anthony Maina made it clear that only Subaru make vehicle owners holding motor vehicle insurance covers from Kenya Orient will benefit from the partnership program. Clients with motor vehicle insurance covers from Kenya Orient Insurance company will get Subaru spare parts at low price at the Subaru Kenya outlets. 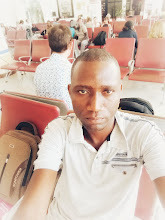 In kenya, Subaru,Toyota, Honda,Ford,Mitsubishi,Tata,Volkswagen are some of the famous motor engines in the transport business.